You can obtain very wide radiused bends on a press brake without using round punches, with a technique called multiple-step bending, also called bump bending. Actual section is not a true arc of a circle but a segmented line, formed by several straight lines. Nevertheless, with a fairly large number of bends we will get closer and closer to a curved line. 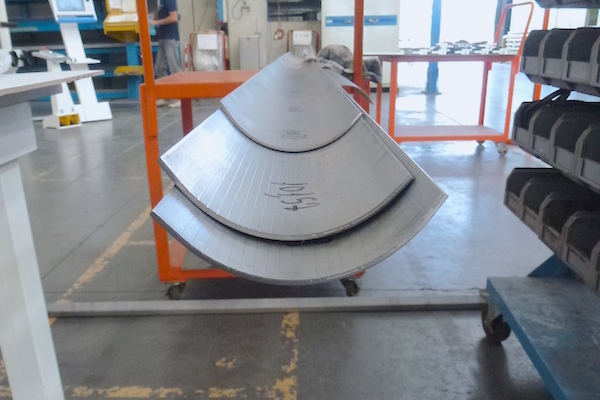 However, many consecutive bends can cause an accumulation of errors, both in terms of the final angle and the radius of the bend. For this reason, it is important to rely on a press brake with a very precise backgauge and great accuracy in the bend angle. At the production level, we will have to find the right compromise between precision, aesthetics and the time taken to make the part. Calculating the necessary angles and steps can be time-consuming. This is why we have developed a very handy online calculator. 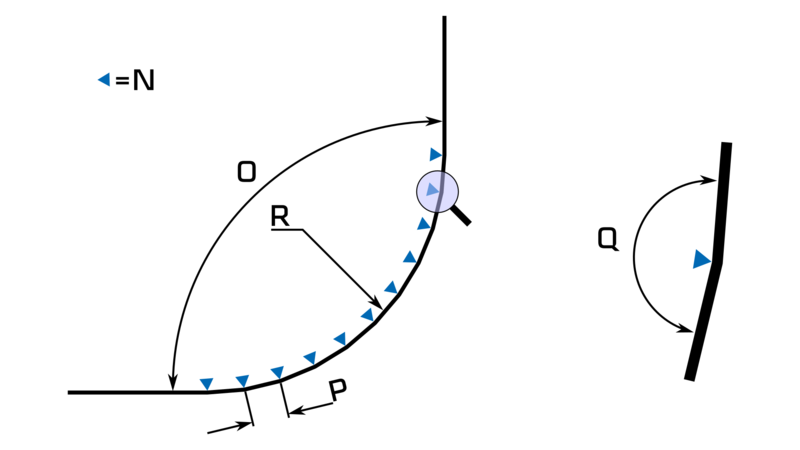 By inserting in the fields on the left the final angle O, the desired radius R and the number of bends N, we will obtain as a result the angle of the single bump Q and the distance between bends P.